Crude oil markets got a boost of optimism from the EIA today, when the agency reported a 1.9-million-barrel decline in commercial crude inventories in the U.S, to a total 502.7 million barrels. Despite the decline, the agency again noted that the size of inventories continues to be unusually high for the season. 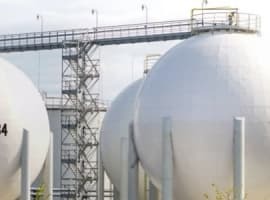 Yesterday, the API said inventories had fallen by 752,000 barrels, marking the fifth week in a row of declines, according to data from the industry body. Now, with the decline—and a larger one at that—confirmed by the EIA, the US is experiencing the biggest drawdown in crude supplies for a four-week period in three years. Gasoline inventories in the seven days to September 23 opposed the trend in crude, rising by 2 million barrels. The API had estimated these to have dropped by as much as 3.7 million barrels. Distillate stockpiles, however, fell by 1.9 million barrels, the EIA said. 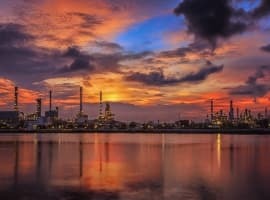 Refineries, operating at 90.1 percent of capacity, down on the previous week, processed an average of 16.3 million barrels every day, producing 9.6 million barrels of gasoline – another weekly decline – and 4.7 million barrels of distillate. The daily throughput of crude was down 253,000 barrels on the previous week. The EIA figures should lend a bit of upward support for oil, especially as it is becoming increasingly clear that there will be no OPEC-Russia production freeze agreement at this point in time, with Iran unwilling to freeze its product at the current level of 3.6 million bpd, and the Saudi’s unwilling to freeze without Iran conceding to a freeze at lower levels. There remains a glimmer of hope, no matter how faint, about an agreement later this year, possibly when Iran reaches its target daily output rate of somewhere above the 4 million bpd mark, but some OPEC sources believe a freeze at this level would have little to no effect on prices. This hope rose significantly, however, after Saudi Arabia announced the cut it was ready to make – half a million bpd – pushing up Brent crude to US$46.64 a barrel earlier today in European trading. At the time of writing, Brent was trading at US$46.62 a barrel and WTI was at US$45.25. Shorts using up a lot of their remaining dry powder to try to keep sentiment negative. Wonder if shorts are near record levels again.